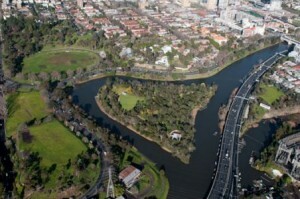 Meet in front of the rowing sheds on the south side of Yarra (corner of Boathouse Drive), ride along the Yarra, take the punt ($2) over to Herring Island for a look around at the sculpture trail. Lunch at Kanteen café afterwards. Note this is a Breeze ride for women – part of Cycling Victoria’s Breeze ride program to encourage more women into riding. Phone Cara on 0406 946 774.